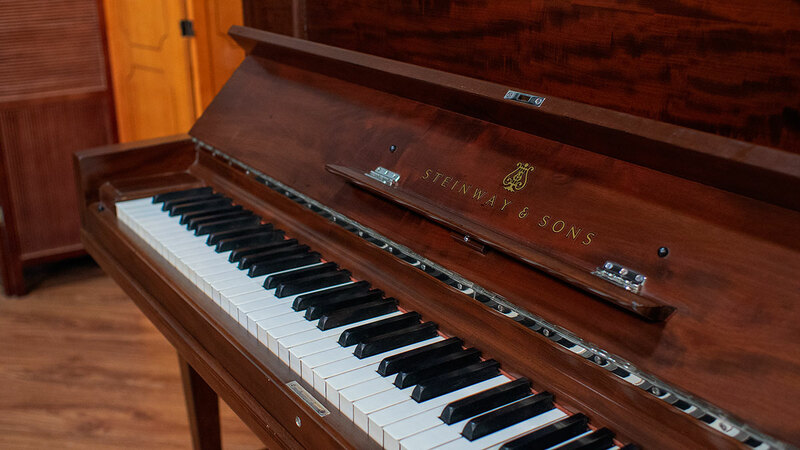 The Steinway K52 is a wonderfully designed piano with one of the finest scale designs available on an upright. 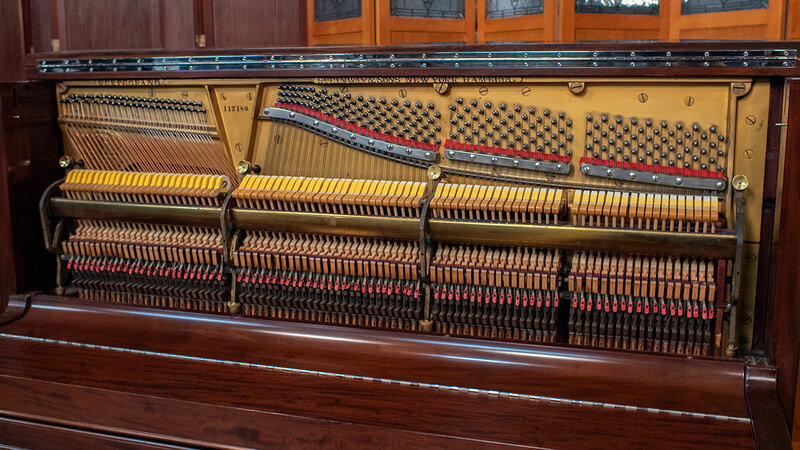 This is a fine example from the pinnacle of piano building in America. 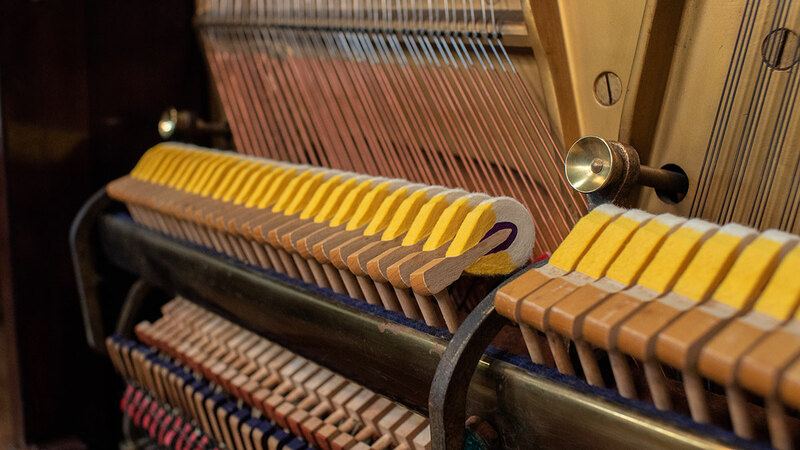 This piano has seen had some fine rebuilding work in recent years which includes new hammers and shanks as well as damper felt. 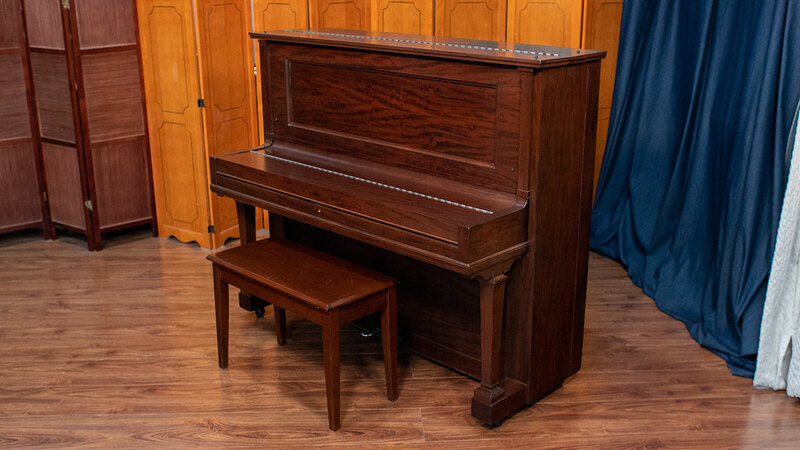 The piano was also refinished not too long ago highlighting the dramatic, mahogany woodgrain. 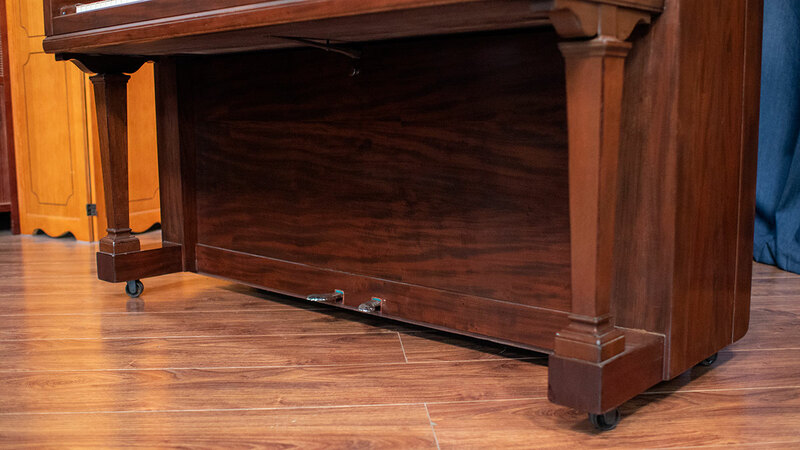 This is a premium Mahogany that really stands out. 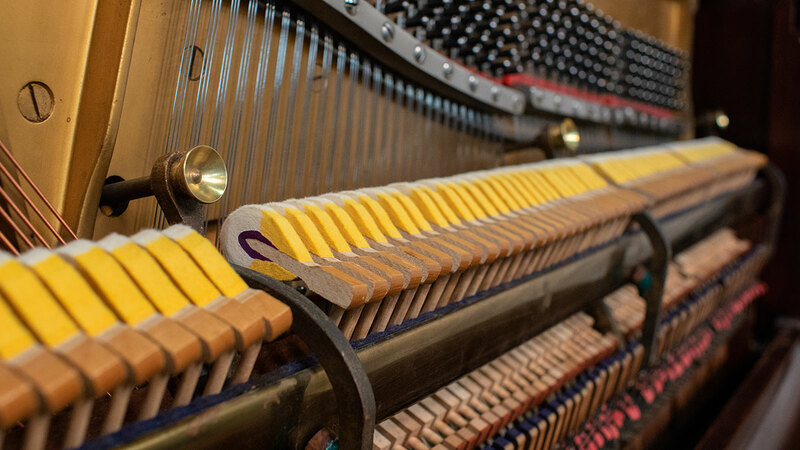 Our technicians have gone through the piano with concert level regulation and voicing. 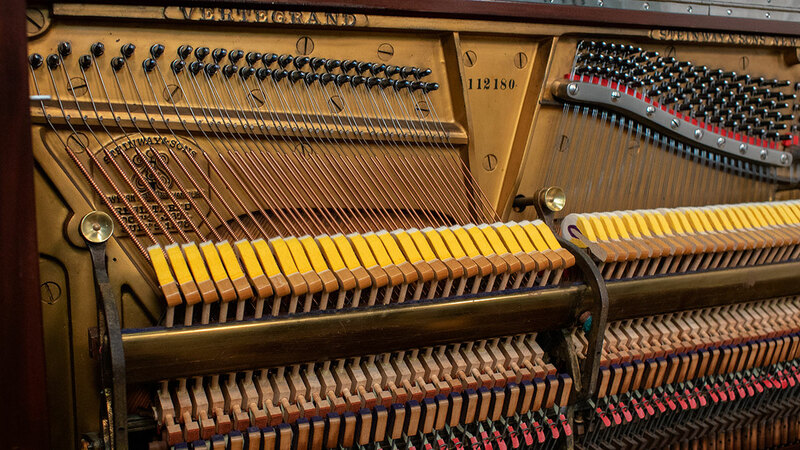 The tone is deep and rich. 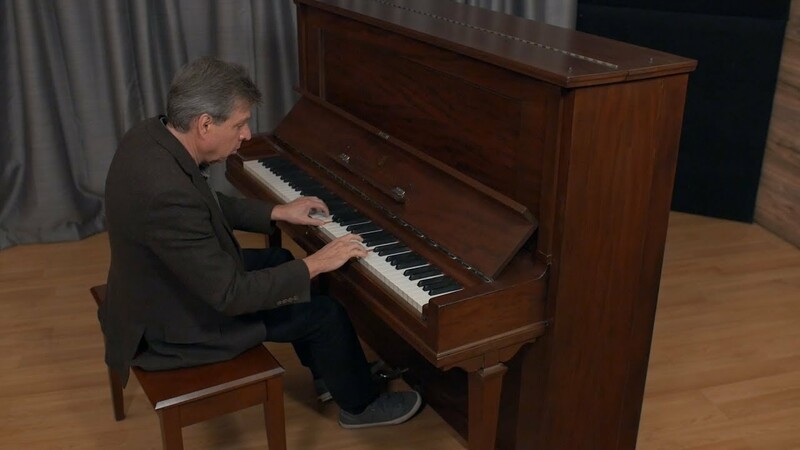 The action is medium weight and very responsive. 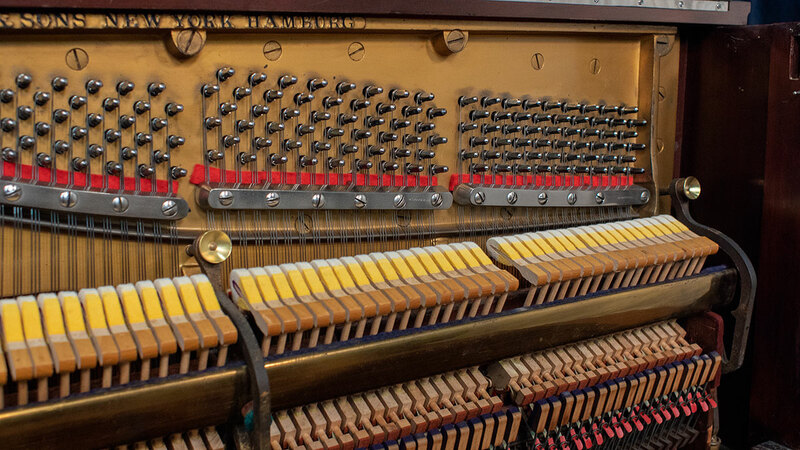 It boasts a beautiful set of original keytops (not plastic). 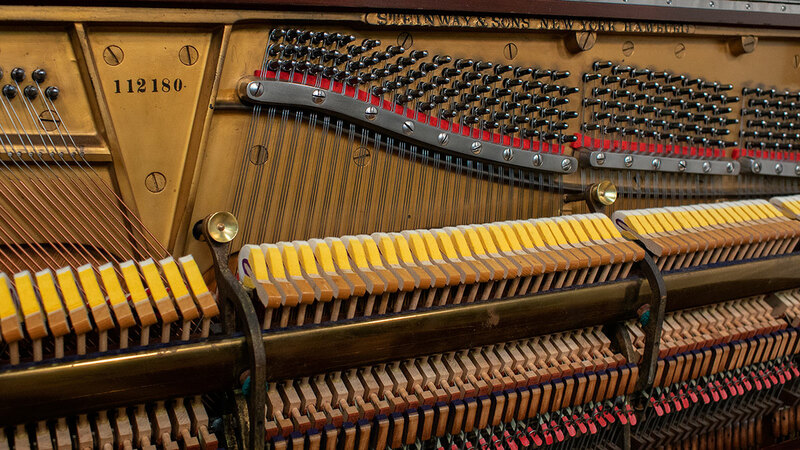 This instrument is suitable for pianists at all levels and is a rare heirloom piano. 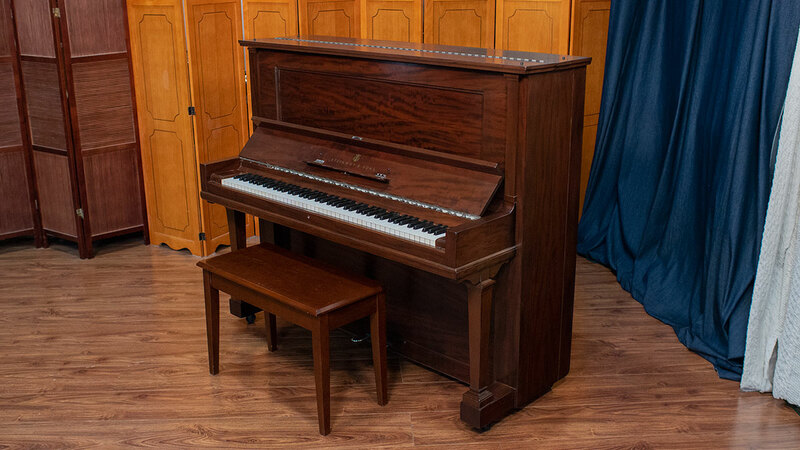 With the right care, you can enjoy this piano in your family for generations to come.